We all know that breakfast is the most important meal of the day, it's a must for everyone. 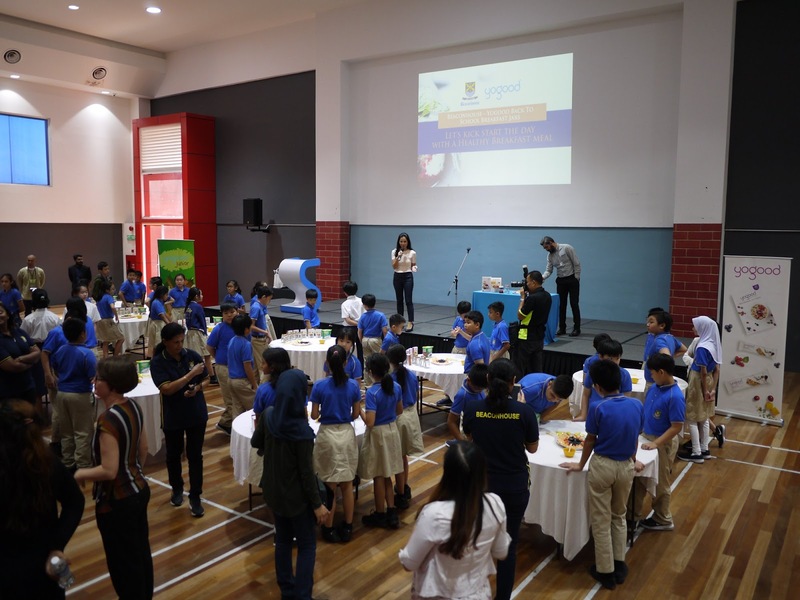 Especially for the school kids because they need more energy than us to kick-start the day and stay focused throughout the day. As a parent, we try our best to provide a nutritious breakfast for our kids so that they can grow up healthily and helps them with concentration and productivity. A breakfast jar contains healthy ingredients such as muesli, fruits and yoghurt will be one of the best choice for them. 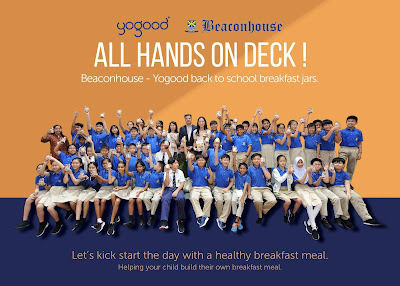 To create awareness on the importance for children to start the day right with a nutritious breakfast, Beaconhouse has teamed up with Yogood Malaysia to held the 'Build Your Own Breakfast Jar' event on last Wednesday, 23 Jan 2019. We were honoured to be invited to the event that was held at Beaconhouse Sri Inai International School in Taman SEA, PJ. 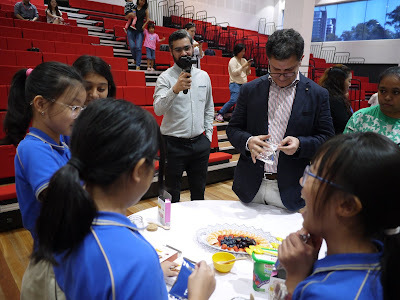 Squeals of laughter and excited chatter filled the air of the hall as 60 year six pupils turned into young chefs to take part in the exciting activity that day. 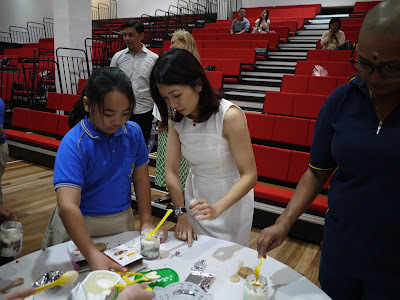 The school invited a parent to team up with their child to help foster precious bonding moments during the activity. Empowering kids to take ownership of their breakfasts is great move to ensure they eat their breakfast the way they want to, and creating good habits on nutrition. In long run, this saves parents' time and the child will be more likely to eat a good breakfast if he/she is part of the delicious creation. Celebrity guest and hands-on mum Daphne Iking led the children in creating their own unique versions of breakfast in a jar using crunchy Muesli from Yogood, yoghurt, fresh fruits and honey. 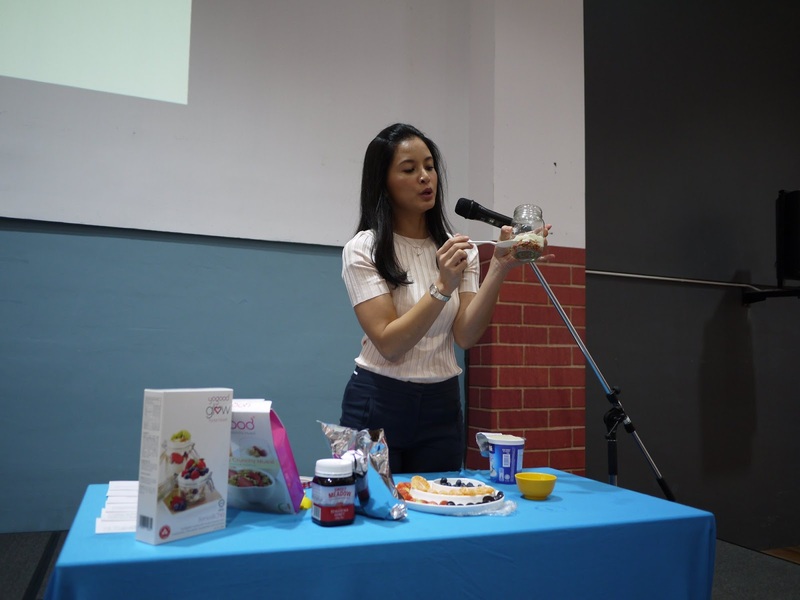 "Breakfast jars are quick, healthy and delicious and they're super easy to make no matter how busy your mornings are. If it's a struggle to get your kids to eat breakfast, this is a fun way to engage them. 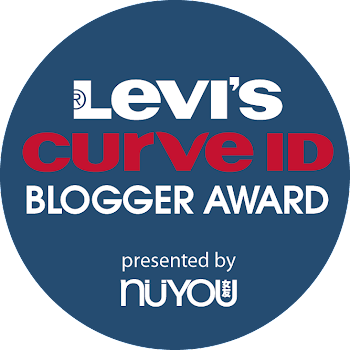 Kids will have fun making it themselves and eating it out of a jar is a treat on its own," shared Daphne, a busy working Mom of 3 young children. Mr. Ali Raza, Regional Director of Beaconhouse Group of Schools said that no matter how difficult, parents must make it a priority for their kids have a nutritious meal before heading to school. "Breakfast is the meal that fuels the beginning of the school day. After a rejuvenating night of sleep, the brain and body need fuel to operate. Studies have shown that kids who eat breakfast perform better academically than kids who don't. This is our initiative to educate the kids on the importance of good nutrition and what this means," explained Mr. Ali. 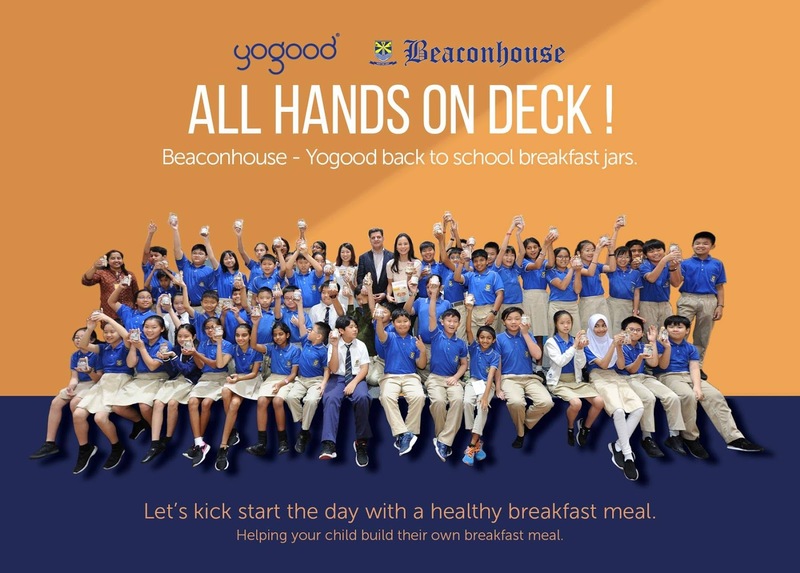 Yogood, the renowned brand that produces healthy food made from wholesome grains, quality nuts and fruits was the main partner advocating good nutrition for children alongside Beaconhouse. Ms. Junita Ee, Brand Manager of Yogood Malaysia said the brand came on board as it sees a great opportunity to create a positive paradigm shift to get more Malaysians to take healthier eating habits starting with breakfast. "While having breakfast is crucial, what goes into the breakfast is just as important. Whole grains are absorbed by the body more slowly so that you don't get a blood sugar spike, and they, along with fiber and protein, are more likely to keep your child's belly feeling happy until snack time or lunch," said Junita. 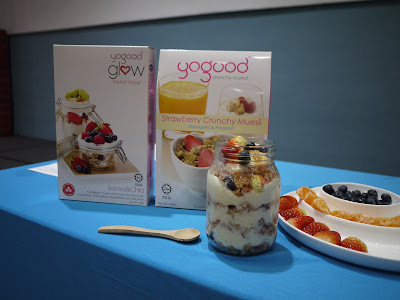 We have tried out the overnight Yogood Muesli prepared by the team at the event. They are indeed an aromatic and delicious breakfast for the kids and the adults too! With the Breakfast in a Jar project, Beaconhouse wishes to get more parents on board to fuel their children's morning with proper nutrition leading to better learning and performance in school. A very good program for the students. Daphne Iking so pretty!